David Oates is a tutor, author, and performer in Athens, Georgia. He also teaches math and English and hosts Wordland, a public-radio show on WUGA, Athens, devoted to poetry, fiction, and comedy. His own writing has been published in little magazines and newspapers. Radio, Book Readings and Signings, Spoken Word, and Improv! © 2011 David A. Oates. All Rights Reserved. David Oates teaches math and English and hosts Wordland, a public-radio show on WUGA, Athens, devoted to poetry, fiction, and comedy. His own writing has been published in little magazines and newspapers. His previous haiku and senryu collection is Shifting with My Sandwich Hand. Sow's Ear Press published his short-story and poetry collection Night of the Potato. He has worked as a reporter, and wrote for the comic strip Shoe in the 80's. He also created and hosted Great Apes, a public-radio comedy show, for 7 years. Originally from Nashville, Oates has a BA in English from the University of Chicago and an MA in Fiction Writing from the Univ. of Illinois at Chicago. He lived for six years in rural Appalachia while his wife worked in a community health clinic there. 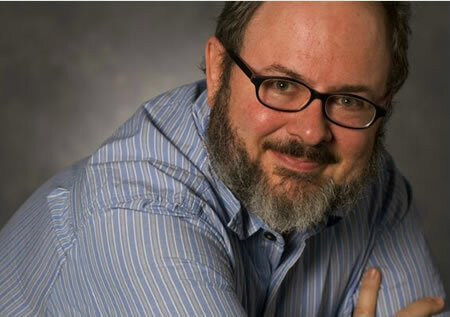 He has also worked as a reporter, an Encyclopedia Britannica proofreader, and a college-composition instructor. He moved to Athens, Georgia, 17 years ago, where he lives with his wife and two children. David's fiction and poetry have been published in numerous periodicals, including more than 100 haiku-influenced poems in a score of magazines from around the world. 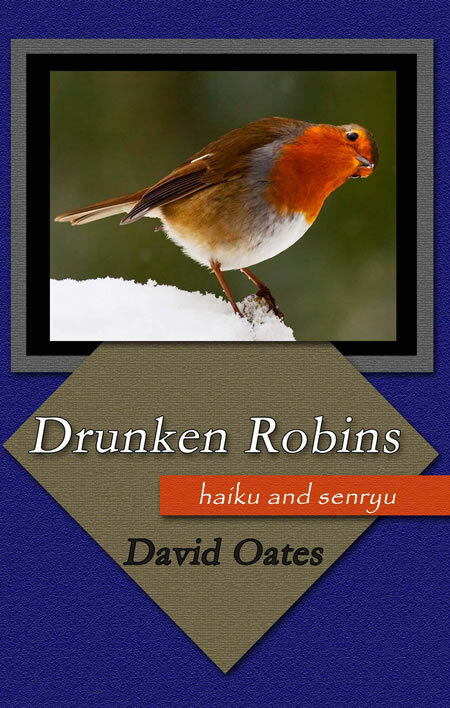 David Oates new book from Brick Road Poetry Press, Drunken Robins, is a collection of short poems capturing evocative moments from nature and people. David has also published another book of these poems, Shifting with My Sandwich Hand, and a book of poetry and short fiction, Night of the Potato. David hosts and produces the radio show Wordland on WUGA, performance and readings of poetry, fiction, plays and comedy. He created and hosted Great Apes, a public-radio comedy show, for 7 years. Oates also ran the Athens Poetry Slam and Open Mike for six years. He has performed his work at numerous slams and readings. He worked for a while as a poetry educator, performing classic poems for students for Poetry Alive! and practiced and performed for a season with an improvisational comedy troupe. His previous radio jobs were as the host of Front Porch Stories, a sort of Appalachian Radio Reader, for WMMT in Whitesburg, Kentucky, and as a writer and performer on Things You Need to Hear (comedy) at WETS in Johnson City, Tennessee.